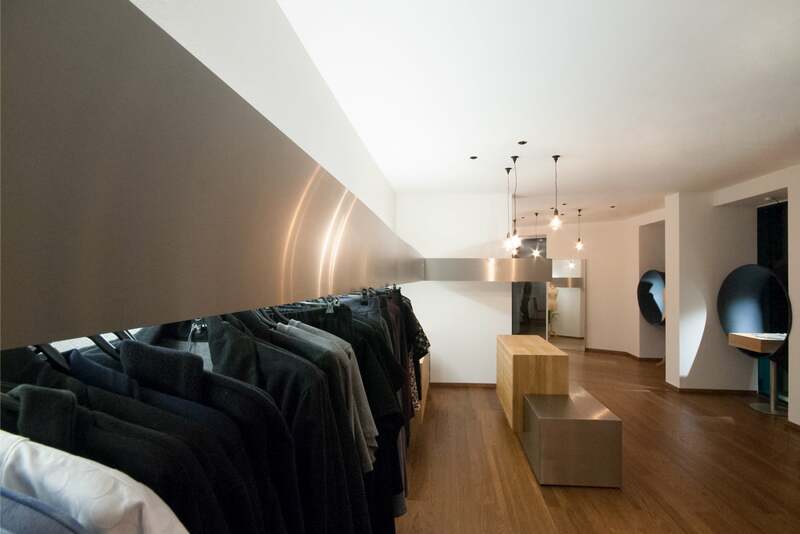 From your laptop right into the new meeting point of Viennese's fashion scene. 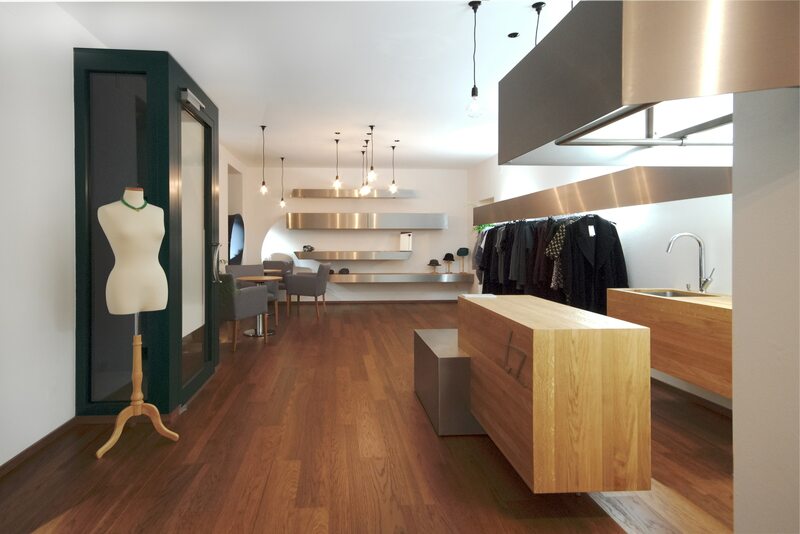 That’s Trendzeit, a new Viennese fashion boutique with innovative selling concept. 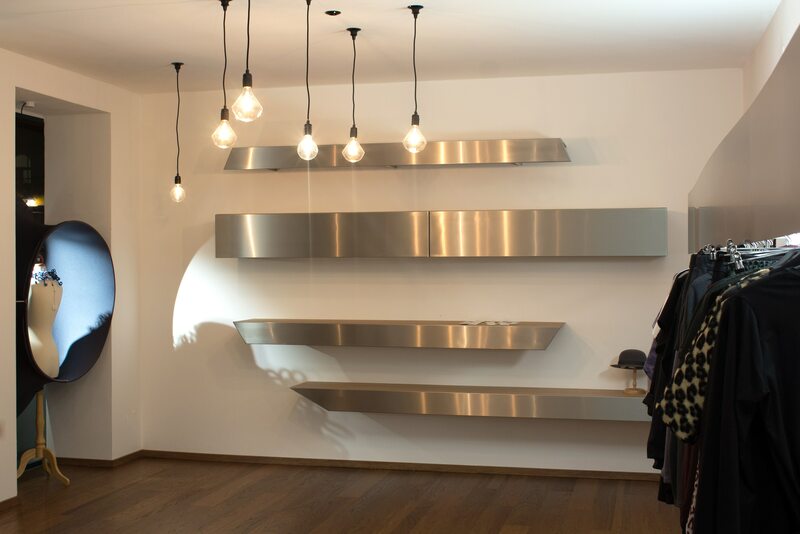 Designed by the Viennese’s architecture firm Studio Okular, the shop design converts into an urban living room for Europeans young designers. Order online try later inside the boutique. 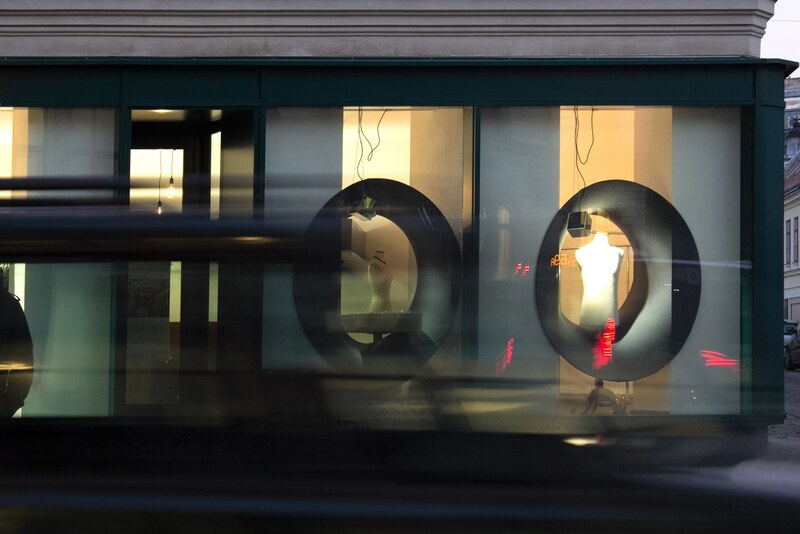 From far away the distinctive disc-shaped installations are visible in the shop windows of the boutique at the Magarethenplatz. 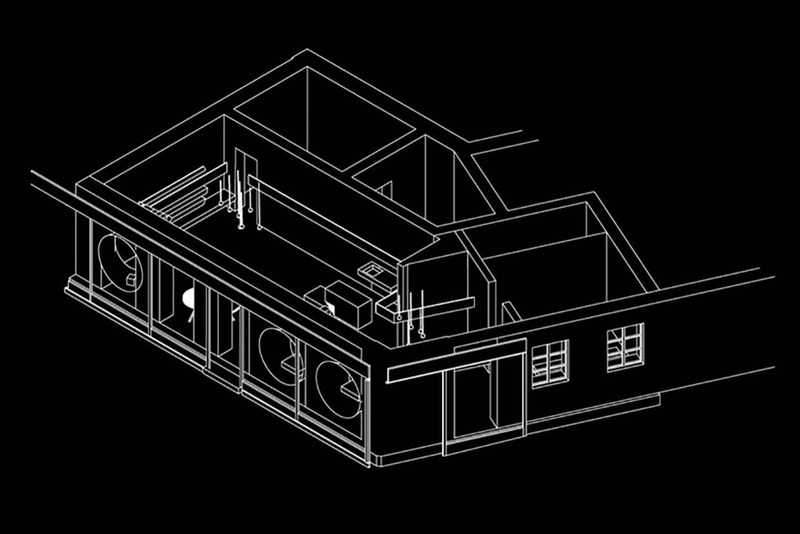 The architecture firm Studio Okular plays with the visible connections of the urban surrounding. 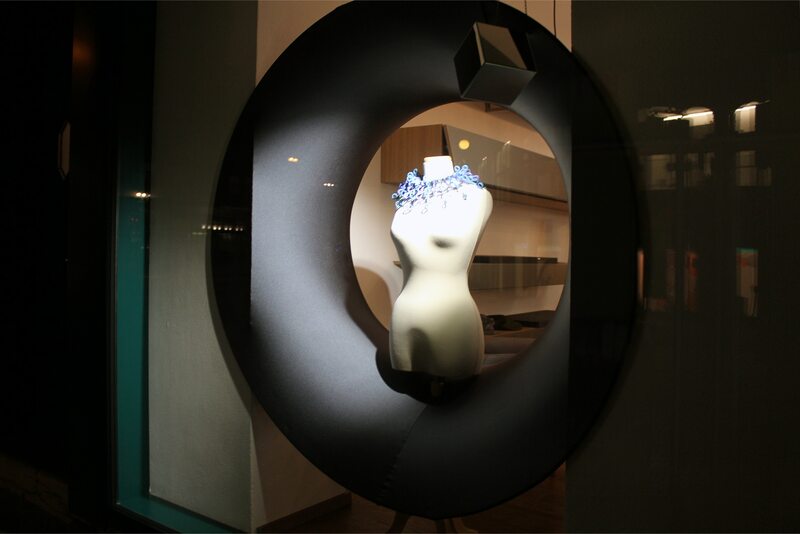 Three nested „Eye catchers“ framing the displayed fashion without blocking the view to the interior of the store. 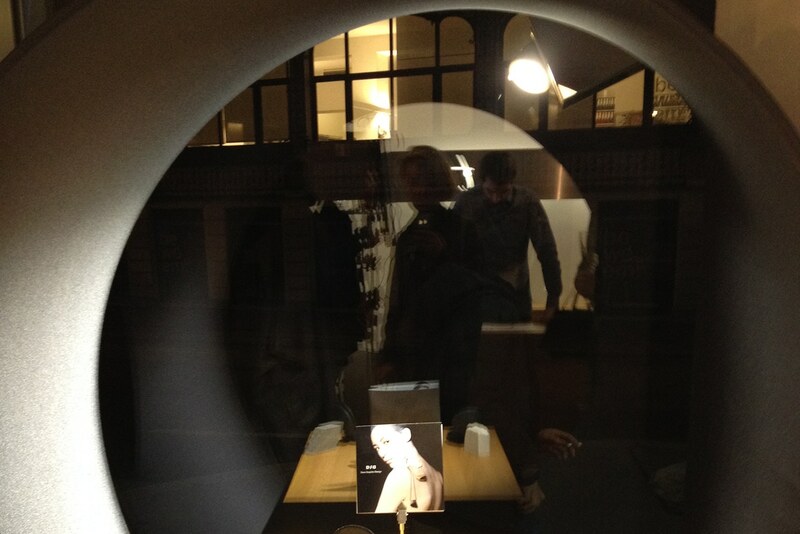 Views from inside to the outside and visa vercer are targeted. 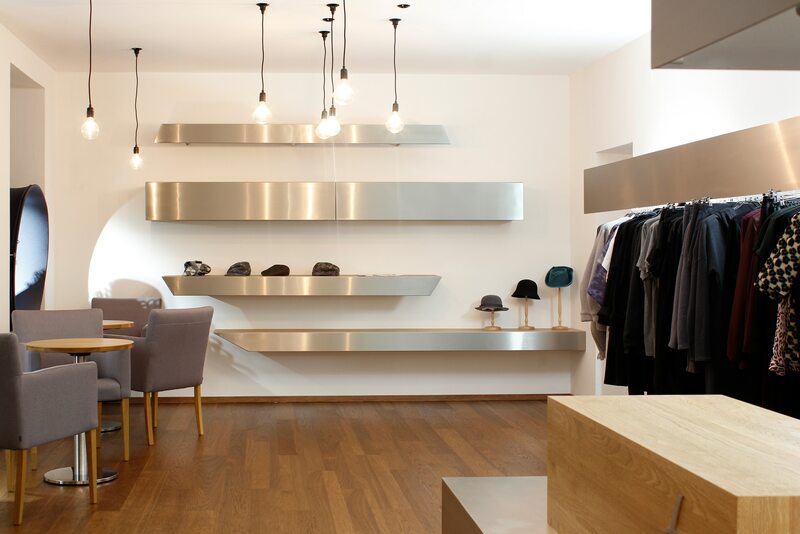 The space is clearly structured and the displayed fashion is in the spotlight. 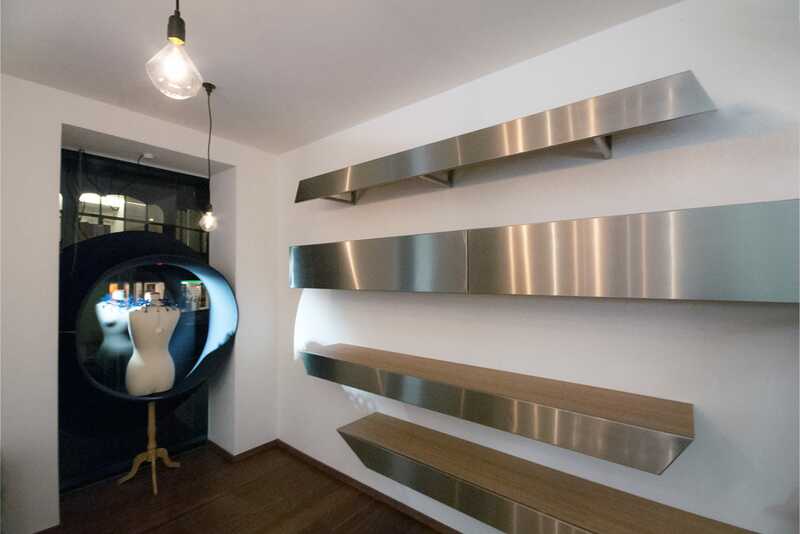 A linear cover made of stainless steel which literary generates the horizon of the space is hiding away the clothes rail and the displayed fashion resplendent in rays of light. A cloud image made of black dots is visible on the ceiling. This pattern is created by plug sockets and a hanging system on which exhibition objects and suspended lamps can be arranged flexible. 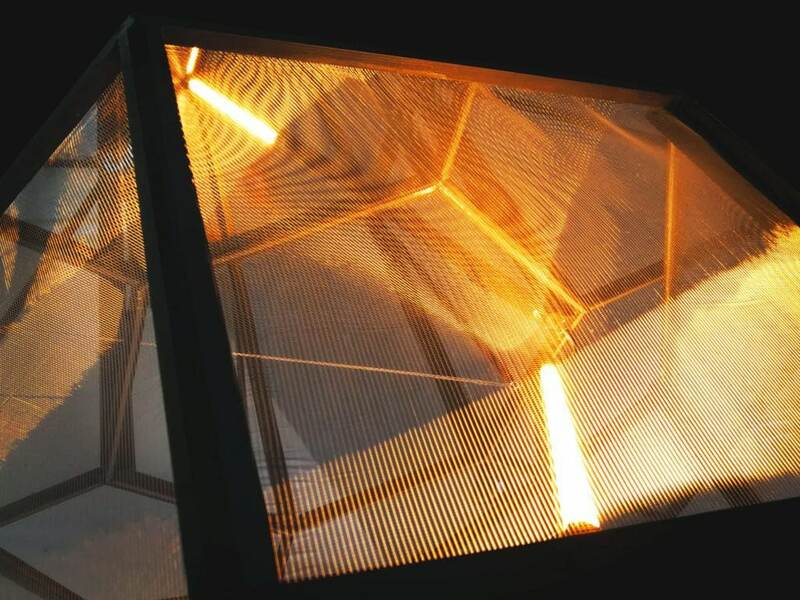 The space can be divided into three light zones: the light cones inside the eye catchers, a light scape made of suspended lamps and a light horizon that defines the background.